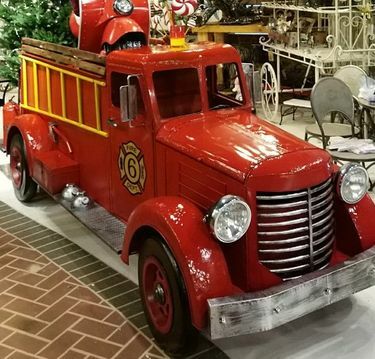 If you thought our large Christmas sleighs were amazing, you're going to go crazy over this new Large Fire Truck Engine Decor piece coming in August! We haven't even had the time to write out the full description yet... but it is amazing! We get a lot of requests for impressive fire chief retirement gifts and this would be out of sight! Over 11 feet long! !